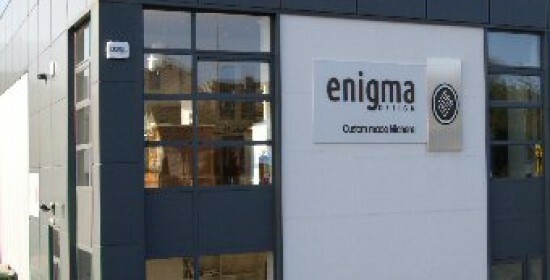 The History of Enigma Design Enigma Design is run by Steven Jones and Brendan O'Neill, who formed the company in 1999. 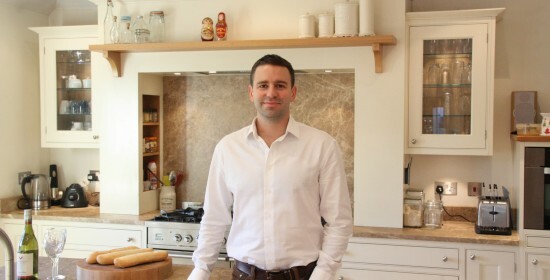 Both Steven and Brendan have many years experience in the design and manufacture of custom made kitchens and bespoke cabinetry, both in Ireland and abroad. From modest beginnings, we have grown into our purpose built 5,500 sq.ft workshop and showroom in Newtownmountkennedy, Co. Wicklow (just South of Dublin), employing five permanent staff from the local area. We pride ourselves in being able to offer clients an unlimited range of designs and specs for kitchens, bedrooms and various other built-in units, and have a reputation for being able to produce unique, one-off cabinetry. Enigma Design has continued to grow through the kind recommendations of many very happy and satisfied clients, along with continued repeat business from interiors designers and architects. We have shown that our designs and quality will leave every customer happy and willing to recommend us. Enigma Design is a name that you can rely on to deliver you the very best in custom made hand painted kitchens, wardrobes and bespoke cabinetry, built just for you and finished to suit your needs. A display of Enigma Design's work was featured in the January 2011 edition of Ireland's Homes Interiors & Living magazine - Ireland’s largest selling monthly interiors and lifestyle magazine. Based in Newtown Business and Enterprise Park in County Wicklow, Enigma Design has been producing high quality custom made kitchens and furniture from their purpose built workshop for the last twelve years. A joint venture between Brendan O' Neill, who manages the workshop, and Steven Jones, who heads up sales and design, Enigma Design moved to Newtown almost five years ago and now employ five staff. Enigma Design can provide a full consultation service, from the initial design to the finished product. They can provide services to homes and businesses in the Dublin and Wicklow areas. We are happy to meet customers to talk through any plans and we recommend that clients call to make an appointment to ensure the best possible service. Enigma Design open Monday to Friday from 8.30am-5.00pm and Saturday mornings by appointment. For more information, please call 01 2811091. Or come visit us in our showroom in Newtownmountkennedy, Co. Wicklow - just a short drive from Dublin. Alternatively, you can e-mail an inquiry to info@enigmadesign.ie. At Enigma Design, we use premium materials and finishes for all furniture. Kitchens tend to be the most in demanded furniture type. Although we can supply high quality ready-made kitchen units to suit any budget, our specialty is in beautiful custom made bespoke kitchens, wardobes and cabinetry, which can be hand painted. We incorporate state of the art appliances and interior fittings to provide kitchens finished to the very highest standard. Although known throughout the county for their stylish contemporary and classical kitchens, Enigma Design also design and create many other types of furniture. They can custom make wardrobes, office fittings, library units and display cabinets. These pieces will be finished to the very highest standard and can be hand painted. Almost any furniture request can be accommodated apart from tables, chairs and beds. Enigma design can also create bespoke units for unique and awkward spaces in the home. Enigma design also have a long standing relationship with Wicklow based Miller Bros, who supply all our stonework including the highest quality Silestone, granite and marble worktops. Steven and Brendan will also advise on all aspects of the kitchen and can provide various other trades including electricians, plumbers, painters and tilers, providing a truly all-inclusive service.